Guest wifi is no longer considered an amenity, it is an expected service. It is a utility and as important as running water, electricity and a comfortable bed. Guests not only want wifi to be free, they want it to be unlimited data, fast, secure, reliable and everywhere! Today’s travellers want the conveniences they have at home and they now expect accommodation providers to deliver on these same conveniences. They want to connect and forget. They want to relax in their unit watching their own Netflix account, exactly where it leG off when they departed home. They want to be able to cast content securely, bring their Google Assistant and Foxtel Now box and be ‘at home’. When internet service providers talk about guest wifi with accommodation providers, there are numerous areas they need to discuss with you and each area is as important as the next. Unlimited data is a must for all guests and most internet service providers’ plans have unlimited monthly data. The speed you offer your guests in their unit is going to be dependent on the speed you can get at your complex. You may need multiple internet connections depending on how many units you want covered and the speed you are able to get from a provider. Your guest wifi provider will help guide you with this, however a minimum of 8-12 Mbps per unit is recommended to start with. If you have more speed to give, definitely give them more. 8-12 Mbps will get one unit 2-3 Standard Definition Netflix streams at the same time in that unit. When guest wifi providers set up your system, they liaise with you regarding the bandwidth availability and ensure that they configure the controller accordingly to allow for adequate speeds to be available throughout the resort, including your office. In-room guest wifi systems are a must. Every unit or hotel room needs its own wireless access point or modem to ensure that the signal is close enough and strong enough for connectivity and transmission. Some units may need more than one device if they are a large space and we determine this during a site survey. External or hallway guest wifi systems or only having a wireless device installed in every second room or unit will give you black spots and not allow for reliable connectivity of devices, particularly Smart TVs. It will not give the guest a secure individual network in their room unit as they have at home. There are many different ways of delivering an in-room guest wifi solution and a site survey will determine the best possible and most cost-effective solution. You need to ensure that each room or unit has its own password. When your guests use a casting device you must ensure that your guest wifi system can isolate that device on the network to each specific unit so only guests in that unit can cast to the TV. This is very important as you do not want someone in another unit being able to cast unwanted/undesirable shows onto your guest’s TV in a different unit. “Guest wifi with unlimited data. Bring Your Own content and devices – ChromeCasts, gaming devices, AppleTVs, Foxtel Now, Google Assistant, etc and use our wifi to stream and play! Does your current wifi system allow you to market this way? Choosing the right guest wifi supplier is essential. Ask for references. 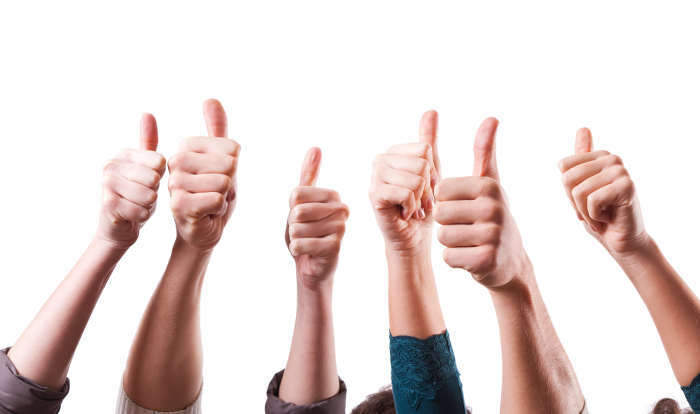 Read their testimonials. Talk to their customers. Ask about their customer service and support. You want to ensure what is going to be delivered is not going to be redundant in a year’s time. The cheapest solution is not always the best solution and you must compare apples to apples. and understanding what you want them to pay for is crucial. The average household in Australia is going through on average 200Gb of data per month and this figure is set to rise dramatically. The growth is coming from the ability to stream everything – Netflix, Stan, Foxtel, and YouTube. You name it, we are streaming it. Even free-to-air TV can be streamed and all the freeto- air sites have on-demand channels now to download and watch shows later. Adam Turner from Brisbane Times Technology wrote on the September 5 2018, that house-hold fixed data usage grew 40 percent in the last 12 months to July 2018 which is a steady year on year growth for the last five years, according to the latest Telstra figures. The data demand is being fed by the NBN roll out, with monthly households leaping by 50 percent once on the NBN; however, households on ADSL are still managing to download 23 percent more data in the last year too. The average Telstra household now consumes 196GB per month, breaking down to 210GB for homes on the NBN and 153GB for those still on ADSL. So now that we Aussies have the hunger for streaming at home, we want to be able to do it whenever we go on holidays. We expect to be able to do it whenever we go on holidays and overseas visitors have expected it for some time. Three key elements for a successful guest experience. You need an in-room guest wifi system – where every unit has its own wireless modem or access point to connect to connect to. Good strong signal. You need a guest wifi system that allows for an ‘at home’ experience, whereby every unit has a secure network within it. Login once with a device and you are online – just as you would at home. set up, devices need to be MAC Authenticated which the guest generally cannot do themselves and will require support from your wifi provider. You need a fast and reliable internet connection or connections – you may need multiple NBN connections or a fibre connection depending on your complexes size. You need to offer unlimited data to your guests – it is suggested to give a minimum of 12Mbps per unit (equivalent to three standard definition Netflix streams occurring in that unit at the one time). This should go up depending on the size of the unit, e.g a three bedroom may need more speed for more people and devices. The demographic is important too and younger people may require more speed with YouTube being a favoured site and heavy in usage – it can deliver high definition video streams. If you have more bandwidth, give them more. We understand that guests have their own subscriptions to Foxtel, Netflix, Stan etc and can take them wherever they go. How they watch them is where you come in. So how do you offer this to your guests? Unfortunately, it isn’t as simple as having a SmartTV connected to your guest wifi in each unit. Supplying a SmartTV in each unit – every SmartTV is different and has their own capabilities and features. Some have a casting application within them which means that the guest can bring their own subscription e.g Netflix and cast it on to the SmartTV from their device (smartphone, pad device, laptop) and continue watching their own content. None of their personal information or login details are stored or accidentally stored on the SmartTV, only on their device. Your SmartTV may have all the apps for Netflix, Stan, Hulu, etc on it which will show as icons on the screen. However, you will need to ensure that you keep those apps updated at all times to the latest versions. Newer SmartTVs will update automatically. Some older SmartTVs can’t be updated to the latest apps. If you do have the latest streaming apps on the TV, the guest can login on the SmartTV app with their own subscription login details and continue to watch their own content. They must remember to delete their history once finished and departing your site otherwise the next guest will have access to their account and see their viewing history. You may want to provide a Netflix account for your guests on the SmartTV. The problem with this can be privacy as the next guest can see what the previous guest has watched. Netflix hasn’t yet in Australia released a commercial product suited to the accommodation industry. What are all these devices guests are bringing with them and wanting to connect through your guest wifi? What do they do? We feel one of the easiest ways to allow guests to watch their own content at your site is for the guest to be able to bring their own devices to connect to your guest wifi and TV to view their own content. Alternatively, you can supply the device or hire the device to them. You need an “at home” guest wifi system as most of these devices do not have a browser to allow login details to be entered to access the guest wifi. Casting devices generally won’t work securely unless you have a separate secure network for each apartment. Some examples are: Google Chromecast and Apple TVs – they plug into the HDMI port of the television (does not have to be a SmartTV) and turns the TV into a SmartTV so the guest can cast their own content securely. They don’t have to remember to delete anything from the TV aIerwards. Just unplug the device from the TV. Some other examples of the devices guests are bringing are Telstra TVs, Amazon Fire TV, X Box and PlayStation gaming devices and home assistants such as Google Home, just to name a few. The biggest mover and shaker we have seen of late is the Foxtel Now device that allows guests to bring their own Foxtel subscriptions with them. They are a cheap device to purchase (approx $99) and you choose the subscriptions you want that you can turn on and off as you need them (check Foxtel’s terms and conditions for all the information). Investing in the correct guest wifi system is important so that you are future proofing you site. Fast, easy and secure connectivity so guests can bring their own content is something you need to start considering now. Is the NBN coming to you soon? NBN IS COMING SOON TO YOU. HOW WILL IT BE DELIVERED TO YOUR COMPLEX? FTTP, FTTN, FTTdp…WHAT DOES IT ALL EVEN MEAN? There has been a bevy of activity on the streets of Australia lately with the ramp up of the rollout of the NBN with NBN Co and Telstra vans working away to install the infrastructure required to roll it out. I now know we are to be connected to the NBN via FTTN – Fibre to the node technology. Our area on the Sunshine Coast has seen “nodes” installed around town. I know this because there is a node around the corner and whilst being installed we lost our telephone line and internet connection for four days. I shudder whenever I see work in the pits, pillars and nodes around town, worried about our service being disconnected again and also our customer’s services which some have been affected also. Awesome, I thought. Easy, they say. So here is my best attempt to unravel the terminology behind the NBN technology and how it may be delivered to your complex. 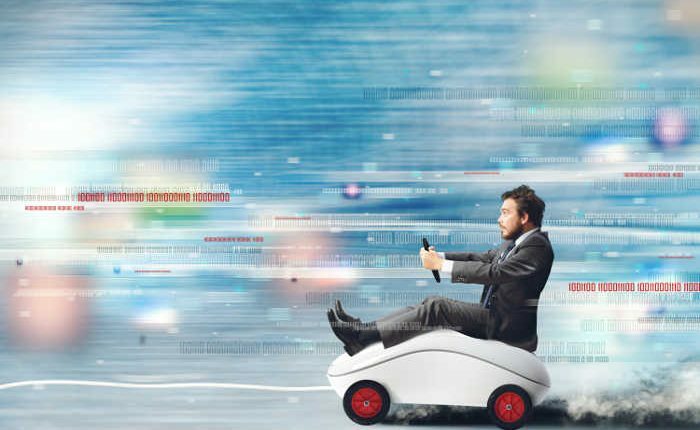 Speed – NBN Co offer the following internet connection speeds (up to) nbn 12, 25, nbn 50, nbn 100 – this is Megabits per second (Mbps). Service Providers – Service Providers will have access to these speeds for your area, however they may not offer them as available plans. They may not offer unlimited monthly data either. You need to shop around and get the fastest speed and the most data per month you can, particularly if you use the connection for your guest wifi system. Unlimited monthly data is a must. Once the NBN infrastructure is completed in your area, the Service Provider will manage the final connection to your complex. You don’t have to stay with your current Service Provider (unless contracted). If you’re under contract see if it can be upgraded to an NBN plan. We’re hearing stories of providers scaring managers into signing up with them to the NBN as they’re being told their ADSL service will be turned off soon and they’ll lose their telephone number. ADSL and PSTN services will be turned off approximately 18 months after the NBN is available in your area and you should be given plenty of notice. Ensure you’re ready and plan for this. Technology – How you receive the NBN will depend on your location. NBN Co uses a variety of different technologies. FTTN –Fibre to the node. Fibre to the node is where fibre is run to a newly built street cabinet or “node”. It allows the NBN network signal to travel over optic fibre from the exchange to the node and connect with the existing copper network to reach your premises. FTTP – Fibre to the premises. Fibre to the premises is where a fibre optic line will be run from the nearest available node, to your premises. FTTP also requires an NBN network device to be installed inside your complex and requires power to operate and only installable by an approved NBN Installer or service provider. FTTB – Fibre to the building. Fibre to the building is generally used when connecting an apartment block or similar type of building to the NBN network. A fibre optic line is run to the buildings communications room and existing technology in the building is used to connect apartments. The fibre node in the building communications room is usually a secure cabinet. HFC – Hybrid Fibre Coaxial. Hybrid Fibre Coaxial is used where the existing ‘pay TV’ or cable network can be used to reach the premises. A HFC line will be run from the nearest available fibre node to your premises and an NBN network device will need to be installed at the point where the HFC line enters your premises and requires power to operate and only installable by an approved NBN Installer or service provider. FTTdp –Fibre to the distribution point – Fibre to the distribution point sits somewhere between FTTN and FTTP in speed, cost and complexity. It’s a new technology that may feature heavily in the future NBN roll out. It alludes to being cheaper than FTTP, faster than FTTN and quick to roll out. FTTdp brings the fibre almost to complexes doorsteps, with the distribution point referring to the individual junction box in the telecommunications pit in the street outside each property. With fibre running to within metres of the property means near-gigabit network speeds can be achieved over the very short run of copper between premises and pit and an upgrade to full fibre to the premises is easily possible in the future. In 2018, Fibre to the Curb FTTC will replace the term Fibre to the Distribution-Point FTTdp. Fixed Wireless connections and Sky Muster services – These types of connections are used mostly in regional, rural and remote areas, where premises are spread out geographically over many square kilometres. Fixed Wireless – Fixed Wireless is a form of connection where data is sent from a transmission tower located as much as 14kms away and travels wirelessly to an antenna on the roof of the complex. It requires an NBN network device to be installed at the point where the cable from the roof antenna enters your complex and requires power to operate and only installable by an approved NBN Installer or service provider. SkyMuster – The connection of some remote and rural locations services can be delivered via the Sky Muster satellite. A satellite dish is installed on the premises and receives the NBN network signal from the Sky Muster satellite. Sky Muster connections also require an NBN network device to be installed at the point where the cable from the roof satellite dish enters your complex and requires power to operate and only installable by an approved NBN Installer or service provider. I hope I’ve cleared up a few things. That was easy, wasn’t it? My recommendation is to put your address in the NBN Co’s website and it should tell you when your address has NBN available and the technology that will be used to deliver it. However, with so many different technologies being used to roll out the NBN and some of them being replaced, the information may vary. Don’t settle for the first Service Providers quote. Shop around and get what is best for your business and guest wifi system. Be prepared for the changeover. Here’s hoping the NBN is the panacea we have all been waiting for. It has been an interesting year in regards to the massive amounts of data people are downloading and uploading. Internet connections are being put under immense strain from streaming video downloads and uploading of data. More and more people are uploading – posting on social media, uploading video files, video conferencing and Skype calls and synchronising numerous devices together. 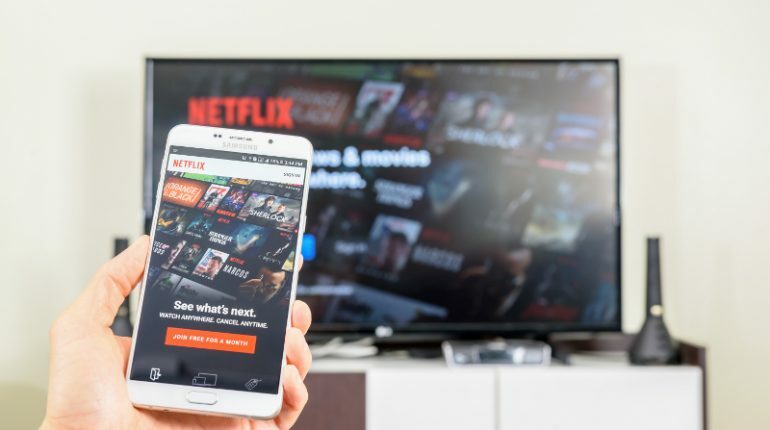 Australians’ requirements for data exploded in the last year as online streaming video on demand (SVOD) took Australia by storm. It is estimated approximately 2.7 million Australians watch Netflix. The Australian Bureau of Statistics June 2016 Internet Usage Report says that the total volume of data downloaded in the three months ending 30 June 2016 was 2.1 million Terabytes (or 2.1 Exabytes). This is a 22.3% increase in data downloads when compared with the three months ending 31 December 2015. From June 2015 to June 2016, the volume of data downloaded by fixed line broadband showed a 51.8% increase. Upload statistics were unavailable. Unfortunately our upload speeds in Australia are a disgrace and need to improve and increase dramatically. Your internet connection over the Christmas holiday period would have been put under the pump. With advances in online technology and streaming of television means your guests are using and wanting more data and bandwidth on a daily basis. Increasing your bandwidth with an Internet Service Provider is crucial to ensure that your wifi is delivering the speeds to your guests. To give you an idea of some of the data requirements for different online technology services I have taken some figures from WhistleOut’s Broadband Usage Guide – 29th Sept 2016. Please remember that these figures change daily and differ from person to person. The average Australian spends around 48 hours browsing the web per month or about 7GB per month per person in a household. Netflix and other streaming TV services – Standard Definition (SD) viewing expect around 700MB data usage per hour. For High Definition (HD) streaming expect around 3GB per hour data usage. Streaming is the number one data hog. Netflix automatically chooses the best resolution stream based on the speed of the connection. A standard length movie on iTunes requires 4GB for a HD file and about 1.5GB for a SD copy. TV shows about 1.5GB for HD and 800MB for SD. Facebook & social media – approximately 2Mb per minute (minimum) depending on what is being done – if there are videos watched or embedded and numerous photos viewed, these figures spike dramatically. Videos are embedded in nearly everything now. For every hour of 720p (resolution) video footage on YouTube you’re using up around 2.2GB of data. In 2012, the average YouTube viewer watched 6 hours of video per month. YouTube has since stopped publishing this statistic, but does claim that the number of hours watched by users goes up by 60% each year. Renting movies and TV shows through services like iTunes, BigPond Movies and Xbox Movies can require a large download. Normally the size of the file is in the product description. Video streaming uses up as much data as downloading the video –you use the same amount of data every time you watch it. Purchasing games through online stores and downloading the game files – it can be more than 50Gb per game. Then there are patches and updates that can be Gigabytes in size. Skype or Video calls use more and it varies largely depending on the quality of the image being sent. It’s very close to YouTube and other video streaming services in this respect, around 40MB every 5 minutes, or half a GB per hour. So how did your internet bandwidth cope this Christmas holiday period gone? 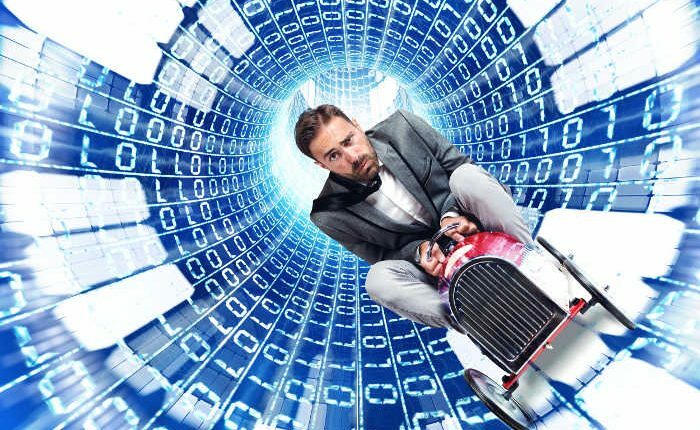 Are you able to give more free data to your guests or will this cripple your internet connection? My suggestion is to look into getting unlimited monthly data on a mid-band plan (SHDSL) or the NBN (if available in your area) or at the least a second ADSL2 connection. Data and bandwidth requirements are only going to grow more and more every year. With the NBN, streaming of video and Foxtel looking to stream their services in the very near future you need to start thinking about how are you going to deliver this to your guests and/or allow them to successfully watch what they bring with them. DELIVERING THE WIFI SIGNAL TO YOUR GUESTS – HOW TO CHOOSE THE CORRECT METHOD FOR YOU AND YOUR GUESTS. In my last article, Spring 2015 edition, I went into detail about how to choose a guest wifi system and a supplier. The article offered you advice on choosing the system to best suit your business and guests requirements and focused on choosing a supplier and the features and functions delivered by their Internet Management System. 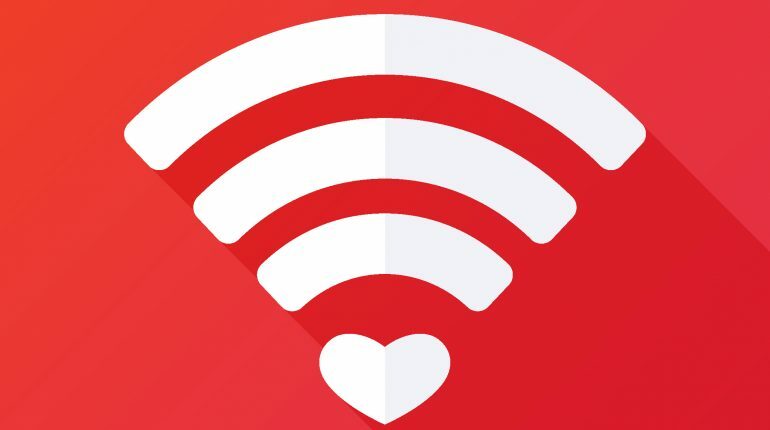 This article is going to focus on how to get the wifi signal to your guest in a manner that is going to suit your requirements now and into the future by a reputable and accredited supplier, using accredited equipment. Devices are getting smaller and smaller and there has been a saturation of wireless signals into the spectrum that were not there a year, two or three years ago. Because most wifi devices work on 2.4 Ghz range and this frequency is the unlicensed spectrum so any manufacturer can use it for any device that can have a wireless signal attached to it, including remote controls, mice, keyboards, etc. The frequency is only going to get more saturated as more devices become wirelessly accessible. There are all these signals out in the air competing against each other for their piece of the spectrum. What this does is drown your wifi signal the more signals that are out there. Your external wifi system (hitting your building with wifi from the outside) may have been working extremely well 2 years ago, but you may be finding that the signal strength is degrading and connectivity and transmission from the access point to the device trying to use the wifi, has depleted. There are more wifi signals now between the access point and the device trying to connect – hence depleting and degrading the signal and transmit ability. It is only going to get worse as more and more equipment is being introduced with wireless capability. So how do you overcome this? You have to bring the access point(s) closer to the devices trying to connect – closer to your guest and you can’t get much closer than in their motel room or holiday unit. By having a device per motel room or unit/apartment you are giving them their own signal to connect to with very little interference from other wireless devices. The experience for the guest will be better with less drop outs and if you do have a fast internet connection (NBN) the data will flow faster. You may not be slated for the NBN for another two to three years but still require a better wifi delivery. By starting to look at going in room now or even moving in room soon, will future proof you for the NBN. The suppliers you speak to should be asking you about the NBN and when you are getting it and advising you of what you can do now and in the future. There are different ways to deliver the in-room experience. If your building has Cat 5 data cabling for your telephones, these can be used. Not everyone is fortunate enough to have a building with Cat 5 data cabling – Cat 3 telephone lines can be utilised if you have an analog PABX system and will still allow your telephones to work. These solutions need to be scoped accordingly and there are certain requirements needed at the site – your wifi vendor/supplier should be asking you these questions and looking at the most cost effective solution for you depending on what you have for them to work with. There has been some significant changes in technology this year and the availability of equipment and devices from overseas, particularly China has seen technology now in reach of wifi vendors/suppliers and being able to on sell to you at non-exorbitant prices. This is VERY IMPORTANT TO KNOW. Ensure that the wifi vendor/supplier you choose is using equipment that is C Ticked/A Ticked/Compliance Marked for Australian use. . If you have equipment installed that has not been approved to be used in Australia, the fines are hefty – thousands and thousands of dollars to you and the wifi vendor/supplier. Even data cable has to have a C Tick/A Tick/Compliance Approval – this is how strict the enforcement is by ACMA. Always ensure that the wifi vendor is an accredited data cabler – data cabling is a regulated industry in Australia and again the fines are huge if you are found to have “illegally” laid data cabling. The person doing any data cabling must provide you with a TCA1 form for any new cabling laid. If they do not willingly hand this to you, ask them to give you one and check their accreditation. They should be carrying a credit card sized card with them with their credentials. Before making any decisions, ensure you compare different solutions. Ask the wifi supplier if they are an accredited data cabler and ask for their credentials. Call their existing customers and find out how their wifi system is going and was the installation completed professionally. Ask them has it met their business needs? Ask them how is the support for them and their guests? Would they recommend the wifi supplier? Sometimes the cheaper option is too good to be true. There is always a catch and you need to be aware of your rights. Ask the questions and be informed. I get asked all the time by accommodation providers why should I invest in wifi technology at my site when mobile phones are coming with more and more monthly data? Why would guests want or need my wifi when they can use their own data? Mobile phones work on the 3G/4G networks (mobile networks) provided by Telstra, Optus or Vodafone with Telstra having the largest coverage around Australia. Cities tend to have good mobile network infrastructure to cope with the large amount of people that connect to them. Regional areas generally aren’t as lucky, lacking in sufficient infrastructure. What this means is that the mobile networks can get very congested – particularly during peak times such as school holidays. These networks can get so saturated it feels like the tap has been turned off to a trickle, sometimes just a drip! Guests will always look for free wifi first or any alternative other than having to use their own data, particularly if they are from the Cyber Generation and Generation Y (millennials) as they are called. Cyber Generation and millennials use the internet for directions, GPS, ticketless travel, reviews on where to eat, seeking out local attractions, scheduling services, correspondence, social media, etc. – they are all necessities of their day and a necessity of their stay with you! Skype and Facetime use huge amounts of data and most people, particularly foreign travellers are using these applications to touch base with their loved ones regularly. Parents are relying on wifi to keep their children entertained with portable devices. Baby boomers are travelling with a minimum of two devices each and most of the Silent Generation (not all!) 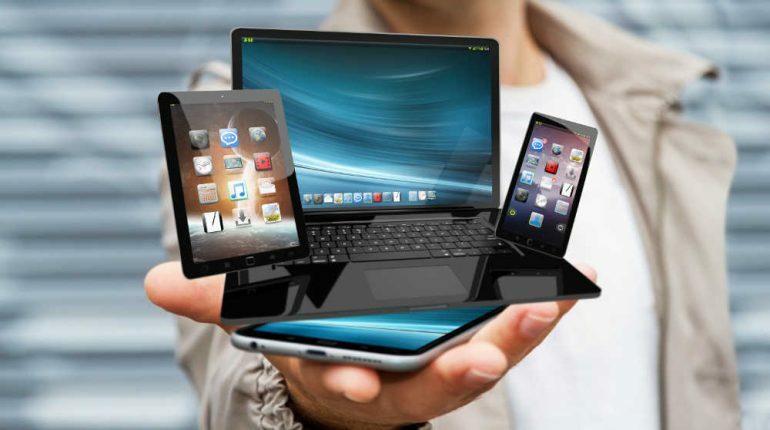 have a mobile phone but would prefer to use their larger screened pad devices or laptops connected to wifi to communicate whilst away instead of using the smaller screen of their mobile phone. Guests are requiring some free data and a strong reliable wifi system to connect to, to stay in contact with their lives! Many of the large mobile data plans come with a lock in contract with a large monthly fee, often too expensive for people to commit to and a foreign traveller is not going to sign up for a 2 year plan on a 3 week holiday! Accommodation providers need to give their guests what they want – free wifi! As an accommodation provider you will do whatever it takes to ensure your guests have an enjoyable and comfortable stay with you. Free wifi is an expectation of your guests and it is essential and crucial. A negative expectation is generally followed up with a negative review, the guest not returning to your venue and certainly not recommending your site to their family and friends. Guests are logging into your wifi within minutes of arriving in their room. It is the first thing I do regardless if I am travelling for business or pleasure, is to set up my laptop and ensure I have a wifi connection and I am online. As faster broadband internet connections with unlimited monthly data are becoming more available and the pricing more cost effective, it is important as an accommodation provider that you upgrade your internet connection to meet the requirements of your guests. An investment in a faster connection may be all it takes to be able to offer more a larger amount of free data to your guests. Not to mention it will help keep your business up and running with faster connectivity for your office as well as the ability to run Voice over Internet Protocol (VoIP) phone systems saving you money. Free site assessments for guest wifi are available – book in and find out how your guest wifi can be improved. Stay ahead of your competitors and ensure you are meeting and exceeding the expectations of your guests every stay so they keep coming back to you. Are you losing guests because your wifi is weak and slow? Guests want the strongest and fastest wifi possible. Wifi is touted as the Number 1 amenity requested by guests but it can also be the Number 1 complaint if you don’t have excellent connectivity. 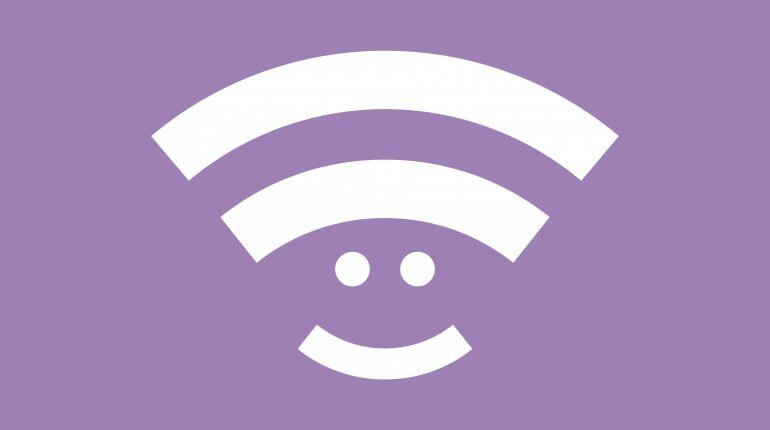 Sites like Trip Advisor give guests the ability to test and report on your wifi . Stop losing guests to better connected competitors. Time Out Internet has helped over 150 businesses nationally with their wifi requirements. We cut through all the jargon, talking and explaining to you the options you have, in language you will understand. If you are tired of bad reviews we can help you! As a recognised industry leader in guest wifi and internet management systems, Time Out Internet can provide your hotel, motel or resort with unparalleled customer service, hardware, management system and support.